Through the use of our Connex500 Polyjet 3D printer, we are able to offer unprecedented speed and flexibility in creating complex parts and models. The Connex500 is the leading additive manufacturing system capable of printing parts and assemblies made of either multiple or digital materials all in one single build. 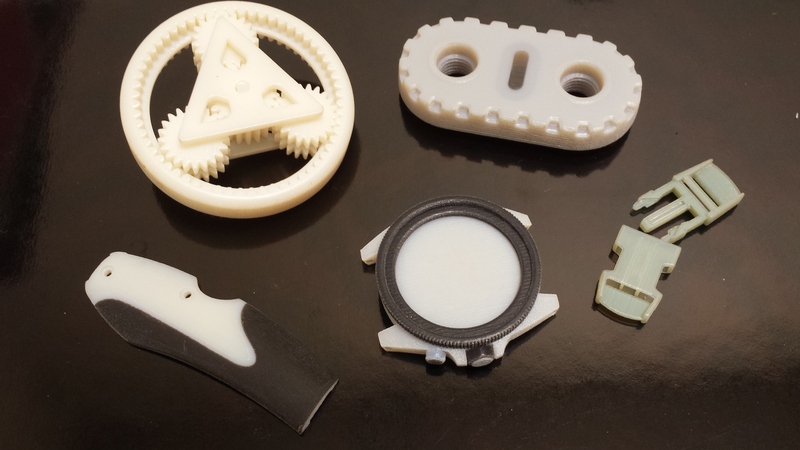 In many cases our customers have found that the use of this printing method provides a compelling cost and time advantage over traditional methods, especially where multiple materials, double injection and over-molding techniques are required. We have the ability to print your parts in very high quality requiring little, if any, finishing steps to bring your part to life. Parts can be printed with specific Shore A values to match the actual values, as well as smooth and durable surfaces, fine detailing, and even textures to help you realize your final product at an early stage. The Connex500 can print your parts in layer thicknesses as small as 16 micron. Maximum tray size is 19.3” x 15.4” x 7.9”. Larger parts can be assembled in post-op processing. 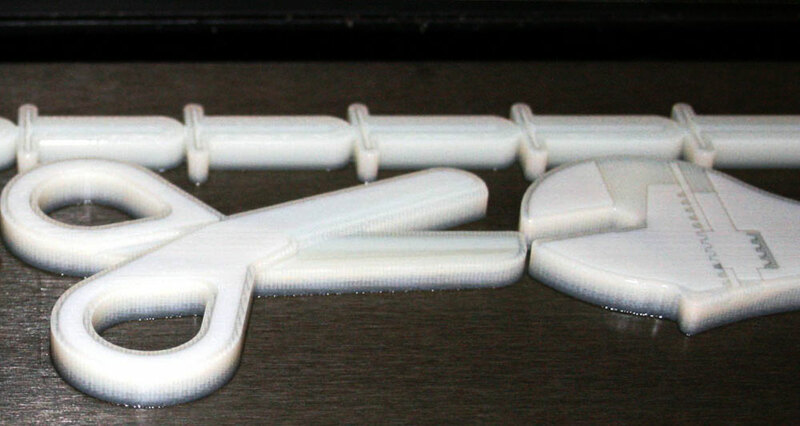 We have multiple finish levels available for our Objet Connex500 Polyjet parts. Learn more about our finish levels here. The Objet Connex500 can 3D print multi-part assemblies and multi-materials in a single, high precision part. Multiple Durometers ranging from 35 Shore A to 50 Shore D in a single print.